Like every other blogger, I am so excited that autumn is just around the corner. There will be a lot of mention about the season on here and my social media over the next few months, I just love the season so much. This summer however, I really got into having glowy skin. From my base to the highlighter that I apply on my cheeks, I have become obsessed with being dewy. Today's post is in collaboration with TAM Beauty, the brand who has many other brands under its umbrella from Freedom to Makeup Revolution. 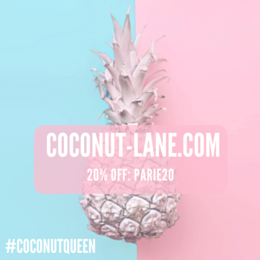 In this post, I am showing you some inexpensive and good quality products that are perfect for the autumn and still capture some summer glow. 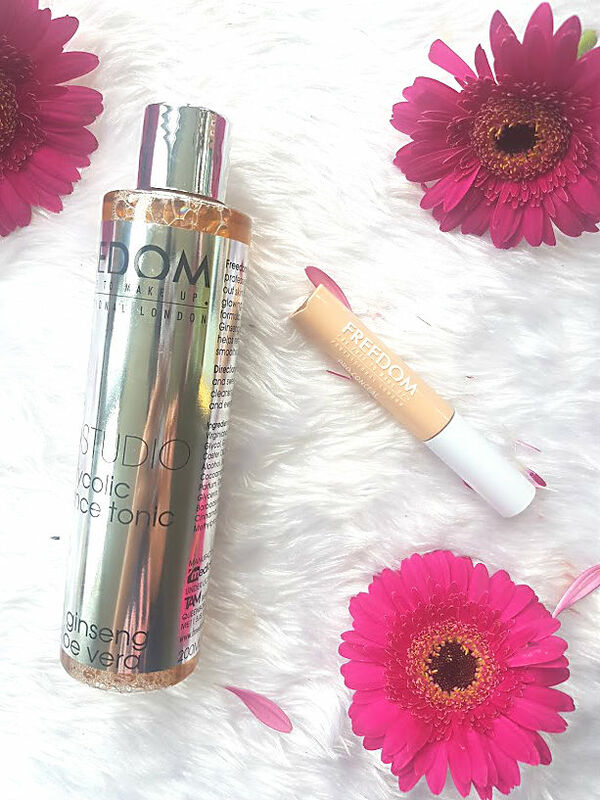 I start out my swiping some of the Freedom Radiance Tonic (£6.00) over my face, not only does this brighten the skin but with me using this everyday for the past week or so I have noticed a change in the overall dullness of my skin. It is looking a lot brighter and clearer, I love how it smells and the orange looking liquid is so much fun to apply. 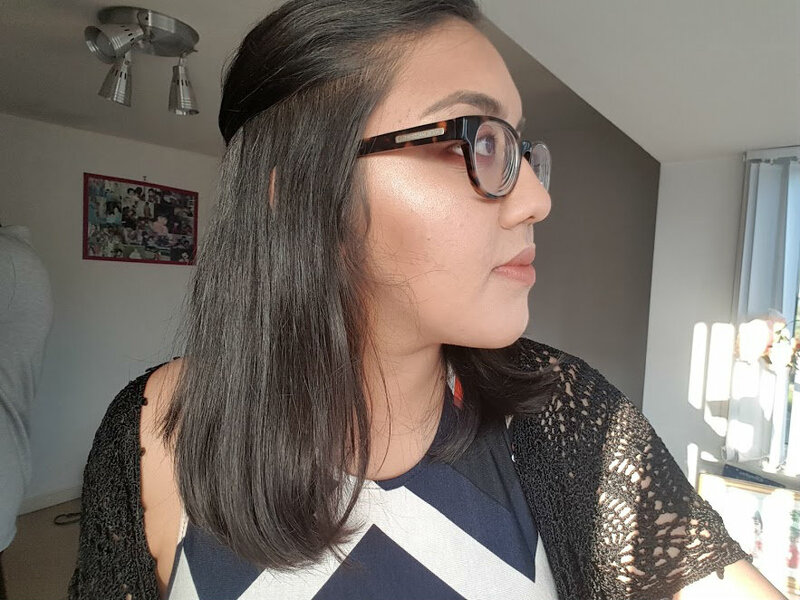 My got to base recently has been the Max Factor Healthy Skin Foundation (full post here), not only is it long lasting but also matte which is perfect for me and my skin type. It covers all my blemishes and uneven skin tone without me having to fuss around with other products so I move straight onto under the eyes. 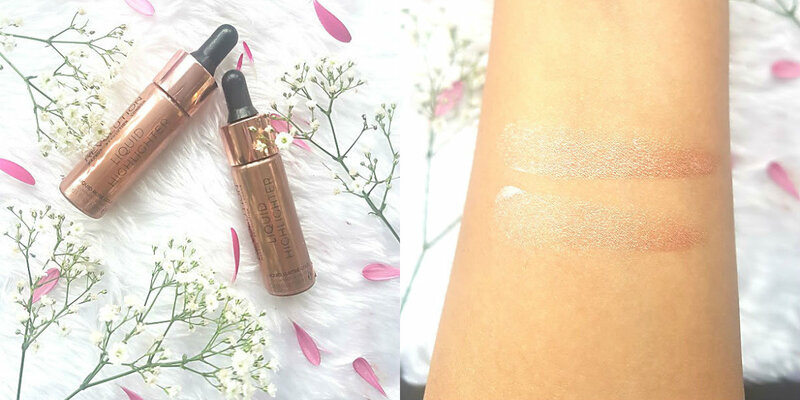 For that the Freedom Pro Conceal and Correct (£1.50) has been working a charm, it is very bright compared to my actual skin tone so works wonders at making the dark area brighter. It is a very creamy formula but sets quick, so once applied it has to be blended quick. The autumnal part of this entire look is of course the eyes, Makeup Revolution have recently launched the Flawless 3 Resurrection Palette (£8.00) which contains a whopping 32 shades. The palette consists of matte and shimmer shades from gold to red,making it either the perfect palette to wear everyday and keep it neutral or go all out with a red smokey eye. 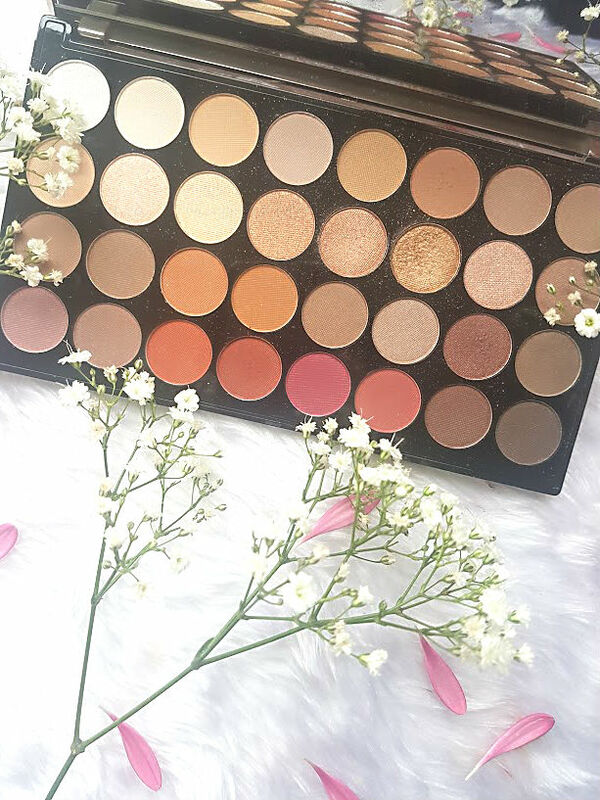 I am a big fan of MUR eye shadows, the BritBeautyBlog collaboration palette is one of my favourites from them and this one doesn't disappoint. Each shadow is pigmented and easy to blend out. For this particular look, I have used a combination of the shades in the fifth and sixth column. These work so well together and gae me a look that was stunning. Finished with some mascara and extra highlight in the corner, I am so autumn ready! This is where the glow comes in, Makeup Revolution have just launched their very own liquid highlighters (£6.00). There are seven in the range, here I have two but I think pretty soon there will be more in my collection as they are incredible! The two shades that are mine include Lustre Gold and Rose Gold, I can't pick a favourite out of them both as they are both equally stunning. I love applying a few dots on my cheeks and nose to give me a real glow. The formula of these are incredible and very pigmented, you only the tiniest little drop. Super impressed with how good these are! In the above picture I have mixed a bit of each one to create a stunning golden highlight - I am slightly obsessed! After setting my face with powder, I then set my highlight. I once read somewhere that even though liquid highlight is amazing, you should always set it with a similar toned highlighter in powder form. This guarantees longevity and a more intense look. I am loving the Makeup Revolution Skin Kiss Golden Kiss (£5), it is so IN YOUR FACE. The pan for starters is huge and there is a mirror inside, making it perfect for on the go. I wore this to work the other day and had so many questions about it. I am one of these people that still wear bronzer in the winter, many people swap it out for a berry blush but I love just going deeper with bronzer instead. 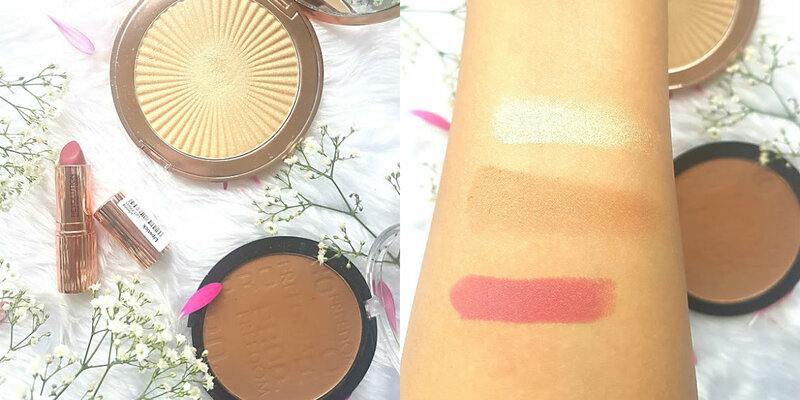 The Freedom Pro Bronze (£1.50) does exactly this, gives me some colour and warms my face up. This has to be one of the best drugstore bronzers I have ever used, matte and so pigmented! The best way to make an autumnal look more autumnal is by using a deep berry lipstick. The Renaissance lipsticks (£4.00) have been on my list to try for months now, not only is the packaging very luxurious but the pigmentation is fab! This shade is Lifelong is pretty berry tones pink that applies like a dream and lasts through everything! 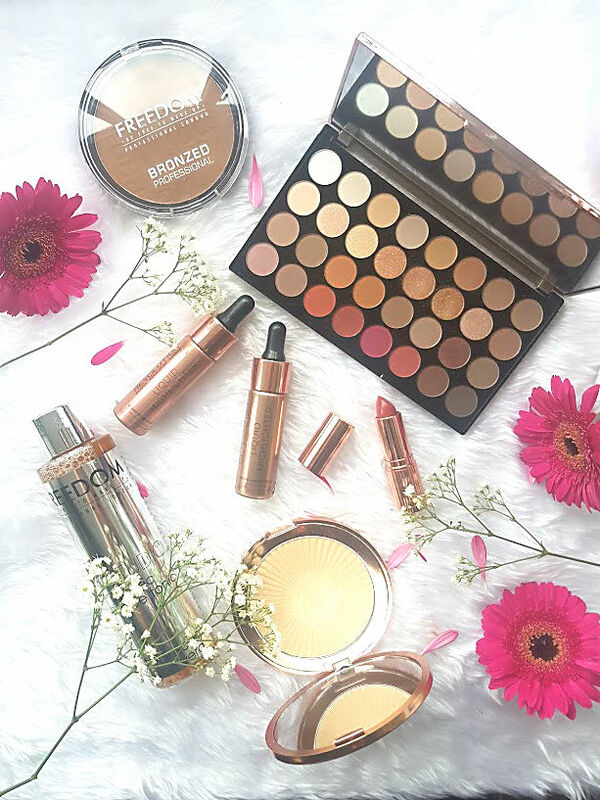 I think these products are the perfect way to make your look more autumnal (sorry for over using this word) and still keep the summer glow! What are you autumn makeup must haves?